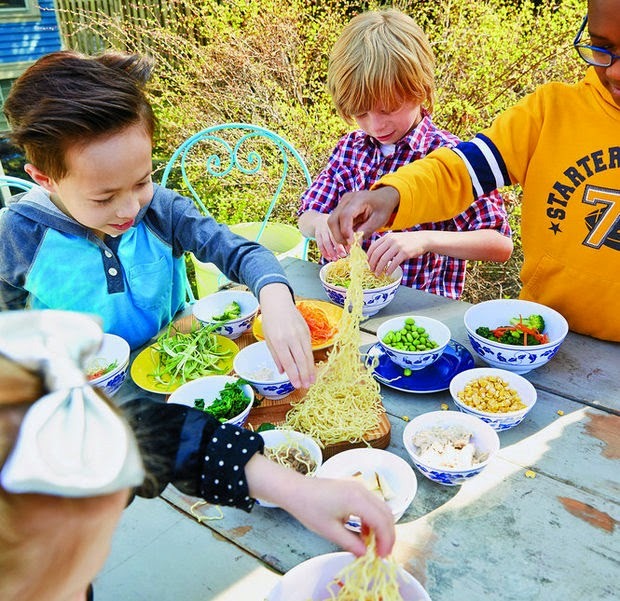 As someone who is a part Italian, carb-loving home chef who has made more than a few pounds of pasta with my kids, there is almost no way I would not love a cookbook titled Noodle Kids. And, with every page turn I found more and more to love, admire and appreciate about this brilliant cookbook by chef, father and restauranteur Jonathan Sawyer. Sawyer has a long culinary history, but it is worth noting that he is the proprietor of Noodlecat, the first and only ramen shop in Cleveland, Ohio, making him perfectly situated for authoring a book of this nature. But, the subtitle of Noodle Kids, Around the World in 50 Fun, Healthy, Creative Recipes the Whole Family Can Cook Together, that really makes Sawyer's book superlative. 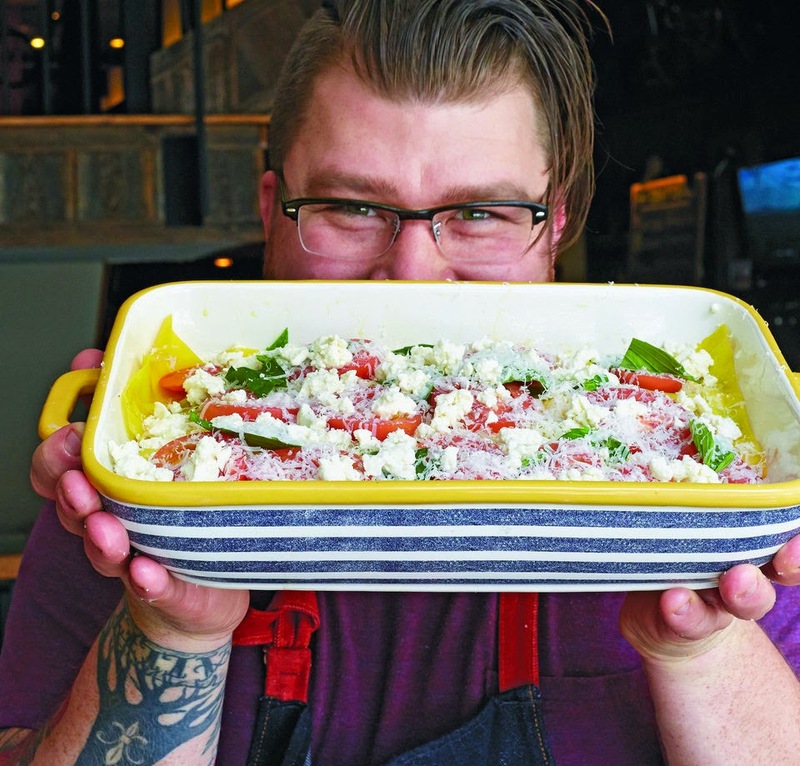 The international flair, and Sawyer's personal philosophy and cooking style ensure that Noodle Kids is anything but a red-sauce-pasta-packed cookbook. These recipes burst with color, freshness and a range of flavors that will challenge and excite young and old. Sawyer begins Noodle Kids with a great introduction that is for the adults who will be cooking with the kids. 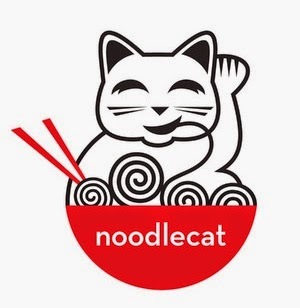 This is where we meet Noodlecat, an iconic kitty (and logo for Sawyer's restaurant) who shows up in recipes from time to time to impart extra knowledge about recipes, telling readers that we are going to eat lots of noodles, "stuffed noodles,; saucy noodles; ooey, gooey, cheesy noodles; and the most slurpalicious ramen in the entire world." 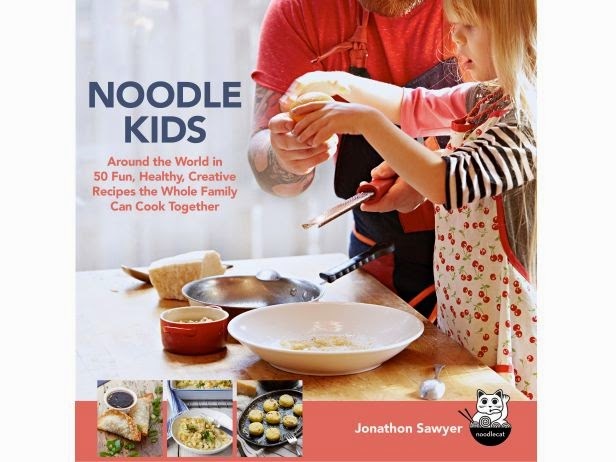 Sawyer also intersperses recipes with updates from Noodlecat about noodles in Italy, China, Greece, Korea and Morocco that provide a historical and cultural background for the recipes in the book. Having made pasta at home (and during a stint as a prep chef in a French restaurant after college) I appreciated Sawyer's step-by-step instructive photos of the process. Chapters in Noodle Kids feature recipes for Stuffed, Baked, Gnocchi (potato dumplings), Saucy, Slurps and Gluten-Free pasta dishes. Sawyer answers the question he and his wife are often asked - how they get their kids to eat so well - by saying, simply, "We talk to the kids about food. We ask questions and engage them in conversation about food. We eat with them. We cook with them . . . Good food is our life." 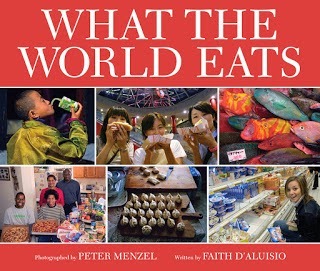 This is reflected in the diversity of ingredients in the recipes - things I know (sadly) my ten year old wouldn't eat. But, that's the great thing about involving kids in the cooking - they are often more likely to try (and like) something they have made themselves. I could write many more paragraphs here about the wealth and breadth of recipes in Noodle Kids, but I'll just list a few of the standouts that I can't wait to try here: Freaky Fast-Baked Fregola, Little Ears with Kale, Roasted Chicken Ramen and Stracciatella alla Romana. 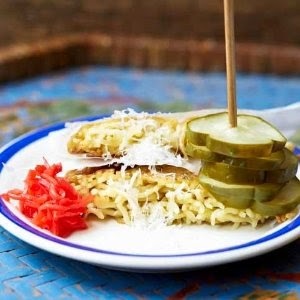 Then, there is the mind-blowing Grilled Ramen and Cheese sandwich, seen here. However, what I especially love in Noodle Kids are the recipes that bring groups together. The Rock-and-Summer-Roll Celebration features bowls of beautiful goodies to be stuffed into a rice paper wrapper and dipped in delicious sauces. Having made these Vietnamese style spring rolls before, I can tell you that they are worth the work but definitely more fun if everyone pitches in. Also, this is gluten-free! Another party time, family fun recipe comes with the build-your-bowl Ramen Party, seen below. Bowls are filled with gorgeous goodies from edamame to chicken to freeze-dried corn and peas, topped with wiggly ramen and doused with a broth, all to be slurped up happily. This is not the ramen you ate in college! While reading Noodle Kids, I was reminded of this favorite of mine that, like Sawyer's book, makes an excellent gift. In fact, give them together!